Broadcaster and naturalist Sir David Attenborough has played an unprecedented role in connecting people to the wonders of the natural world. Today at the World Economic Forum in Davos, Sir David was interviewed by Tusk’s Royal Patron Prince William about his life’s work and how he has inspired us for generations. 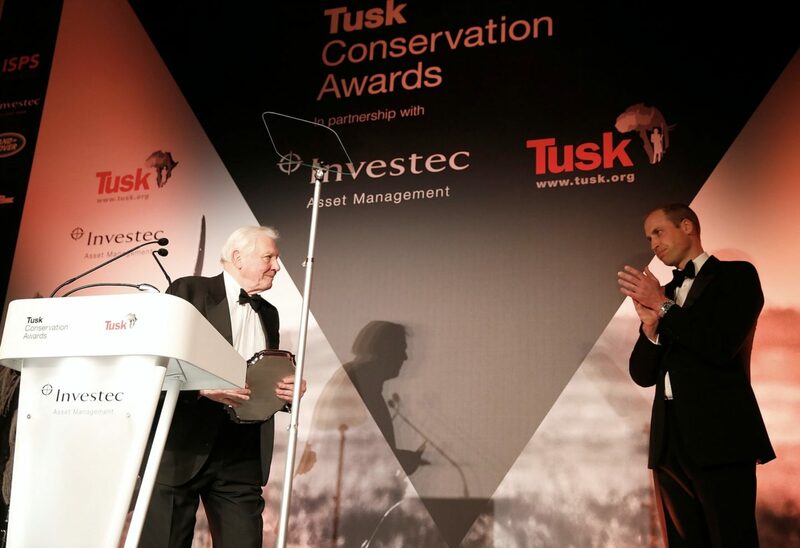 The two have come together on behalf of Tusk before, both speaking at the 2016 Tusk Conservation Awards in London. And at last year’s awards, Prince William again championed Sir David’s message of urgency. “Two years ago at this event, Sir David Attenborough warned that man is losing his own connection with nature. Said HRH, The Duke of Cambridge. “The IPCC’s recent report was the loudest warning bell yet from the scientific community that we must act now. The clock is ticking towards a tipping point when the impact of what we are doing will become dangerously irreversible. Our own survival is reliant on our ability to reverse the terrifying decline in the world’s biodiversity. Modern human society as we know it depends on natural resources to survive and thrive. As the report says – ‘nature is not just a nice to have’. At Davos, Prince William asked why Sir David had chosen to speak out on environmental issues such as climate change? “When I started, 60 years ago, Sir David began, there was not the feeling that we would annihilate a part of the natural world. The notion that human beings would exterminate a whole species was not something people were thinking about, and when it happened it seemed like the exception. Now, of course, we are only too well aware that the whole of the natural world is at our disposal”, he adds. 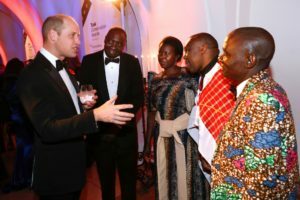 Prince William then asked how urgent is the crisis we face? When asked why world leaders have taken so long to react, Sir David posited. “Because the connection between the natural world and the urban world, human society, since the Industrial Revolution, has been remote and widening”, Sir David says. “We didn’t realise the effects of what we were doing ‘out there’. But now we are seeing that almost everything we do has it’s echoes, duplications and implications across the natural world. “There has never been a time when more people have been out of touch with the natural world, than there is now”, he says. “We have to recognise that every breath of air we take, every mouthful of food we take, comes from the natural world. And if we damage the natural world, we damage ourselves. We are one coherent ecosystem. It’s not just a question of beauty, or interest, or wonder – its the essential part of human life is a healthy planet. We are in danger of wrecking that. You can find out more about the World Economic Forum – from where this content was gathered – and watch the interview in full here. Tusk’s work continues to secure a future in which people and wildlife can both thrive across Africa. Please join us in the fight. 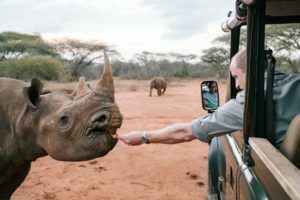 HRH the Duke of Cambridge joined Tusk on a tour to Namibia and Tanzania to visit the Tusk projects playing an integral part in the fight to #endwildlifecrime. Discover more. The Tusk Conservation Awards give us a chance to celebrate extraordinary people, whose work and lives might otherwise go unnoticed outside their fields. Find out more.